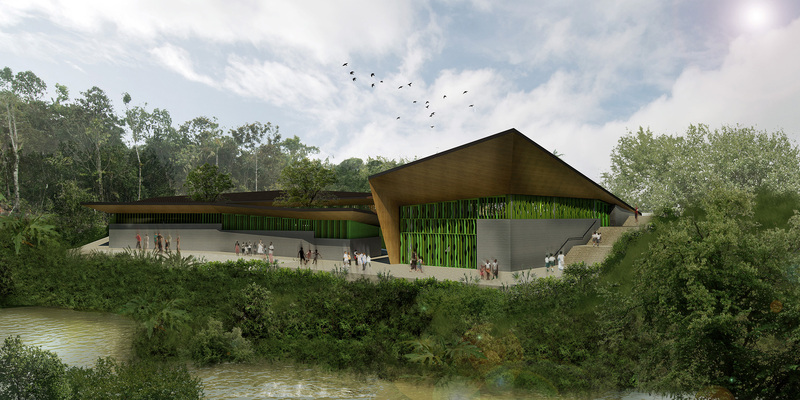 This Kindergarten and Community Center in a disadvantaged area of Buenaventura, Colombia, is designed to provide a safe but vibrant and open environment for school children and community activities. 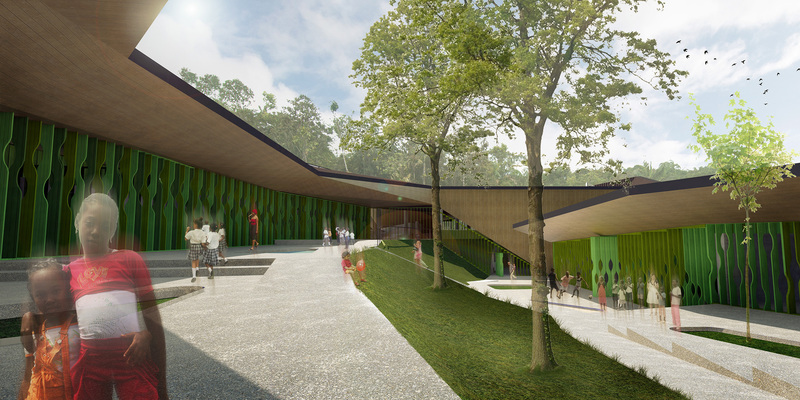 Cascading downhill toward the river under a facetted floating roof, the classrooms are enclosed only by brightly colored operable louvers, carved away to allow a range of individual views out for both children and adults. 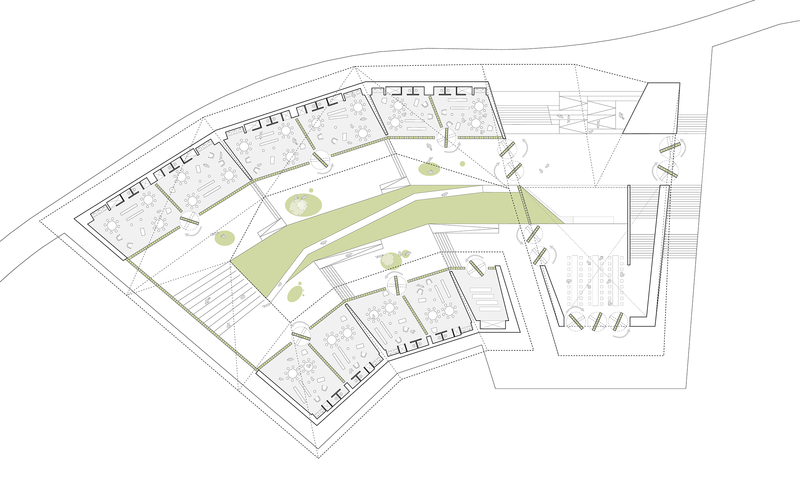 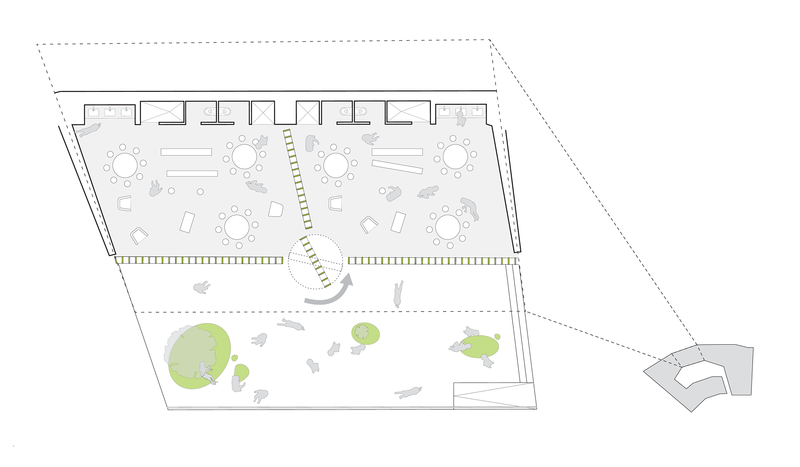 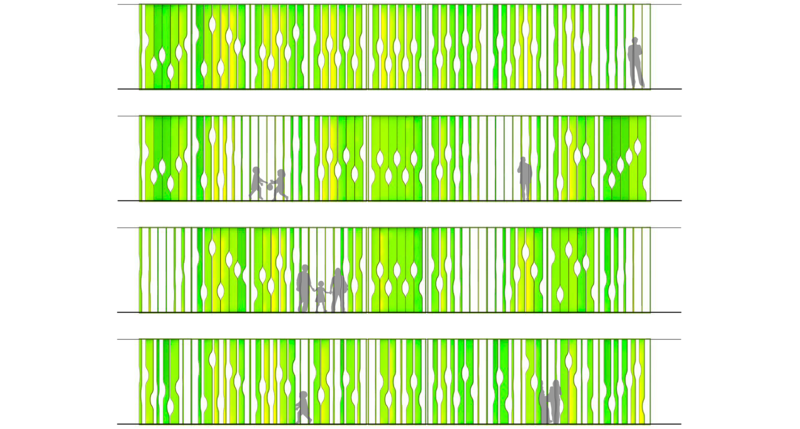 The louvers create a rhythmic continuity around the central courtyard and the double-height community center, filtering views toward the river.